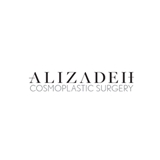 Alizadeh Cosmoplastic Surgery (New York) - Book Appointment Online! We strive each and every day to improve the world around us and improve the world beyond us… to renew, to restore and to uplift the face, the body and above all... the human spirit. Always pleasant. Very professional office.